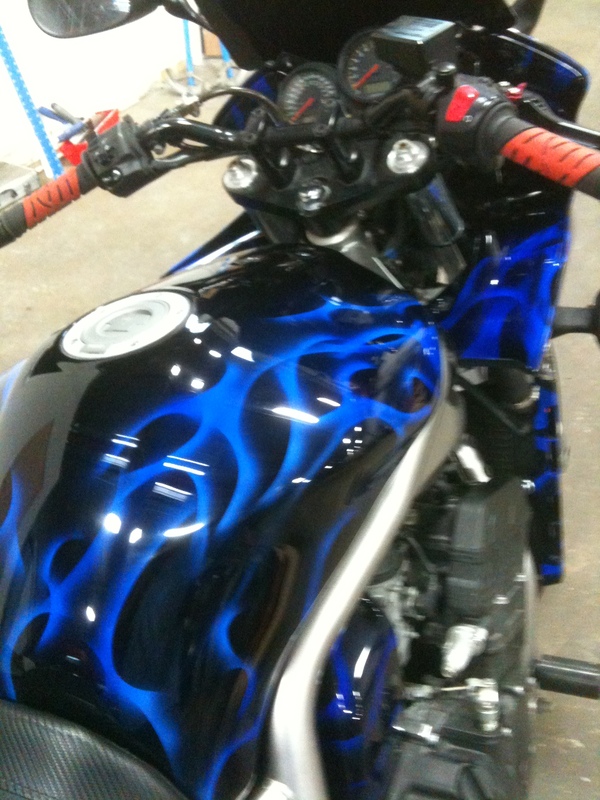 Airbrushed purple flames on a motorcycle tank and fender. 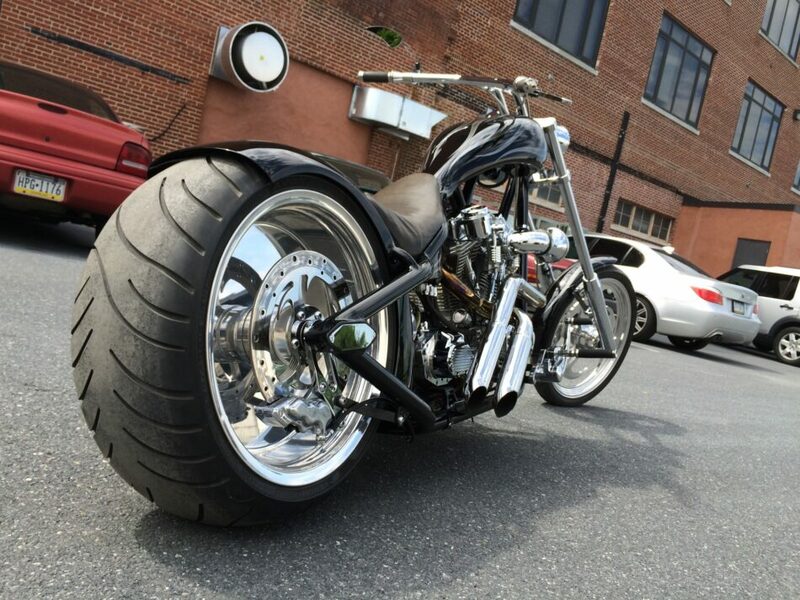 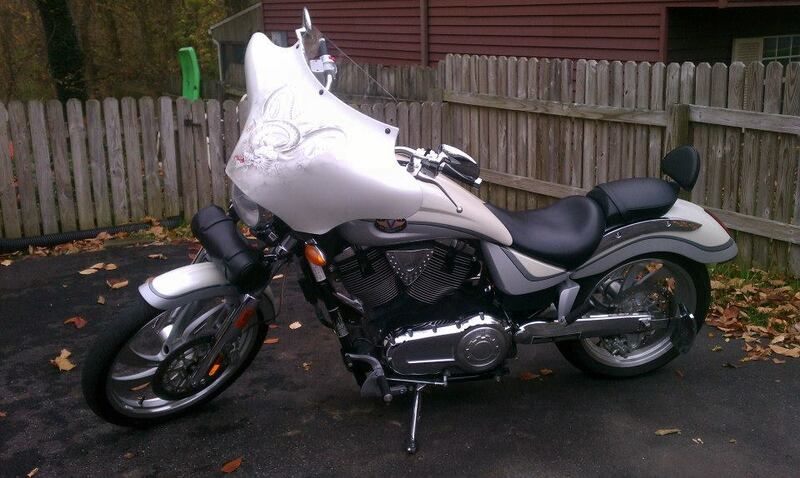 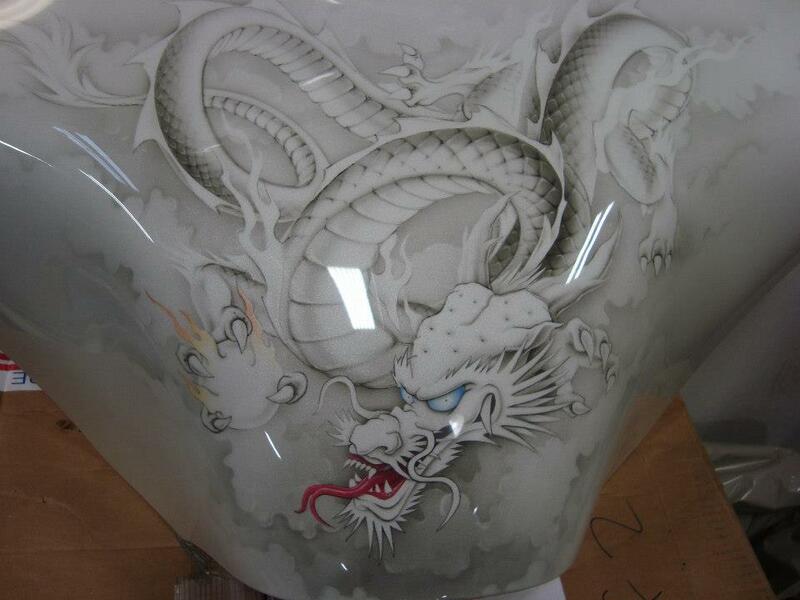 Custom dragon airbrushed onto a Victory Vegas motorcycle fairing. 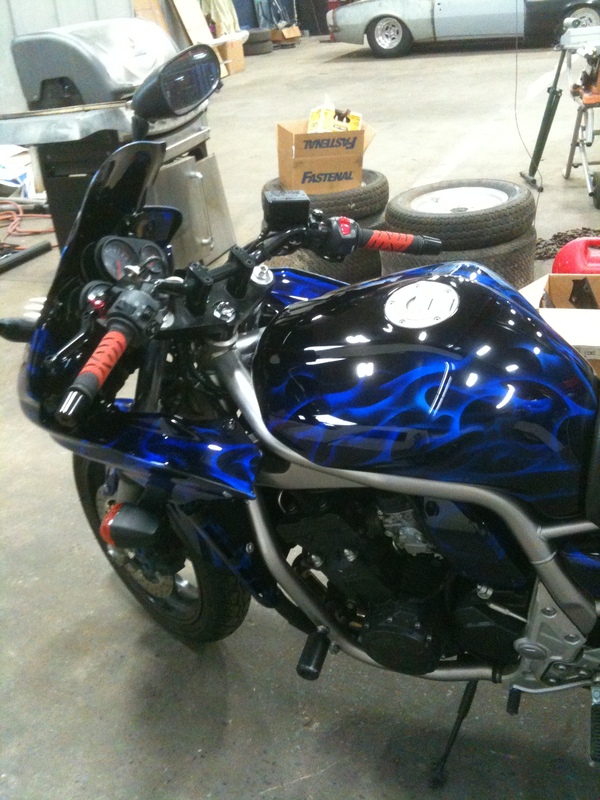 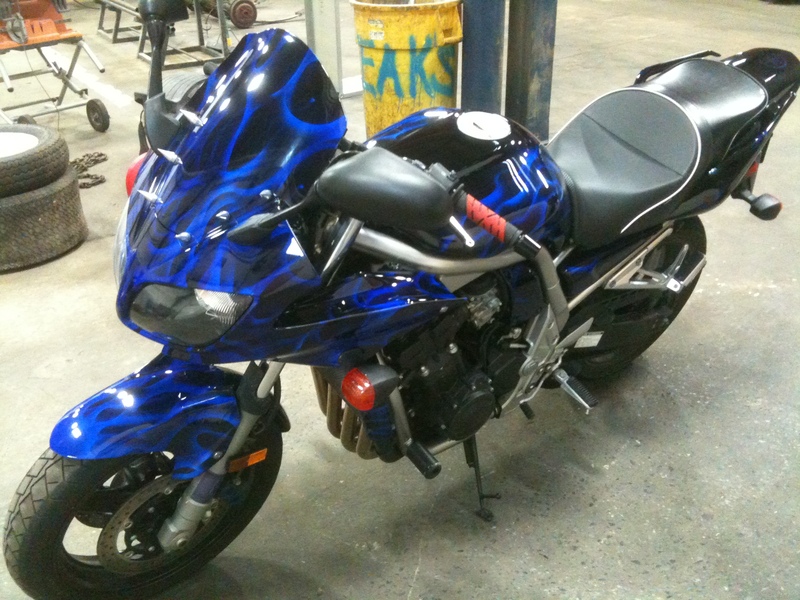 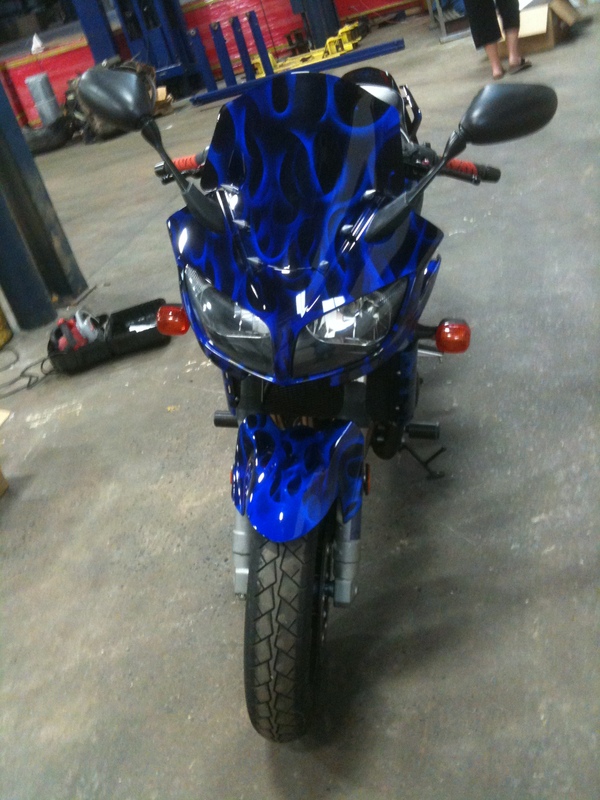 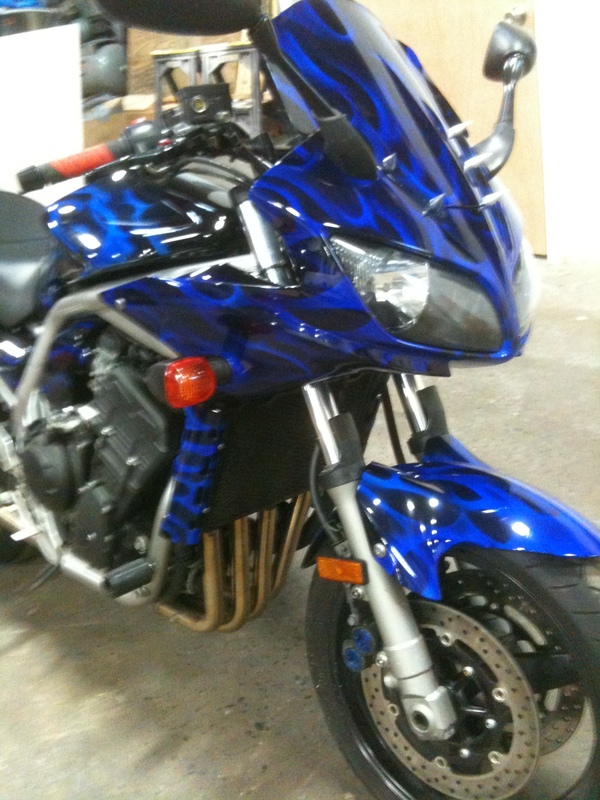 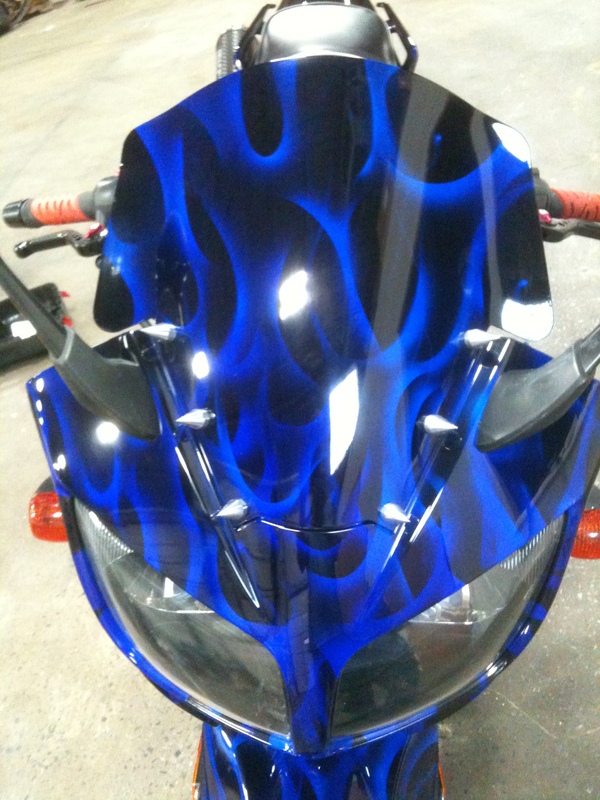 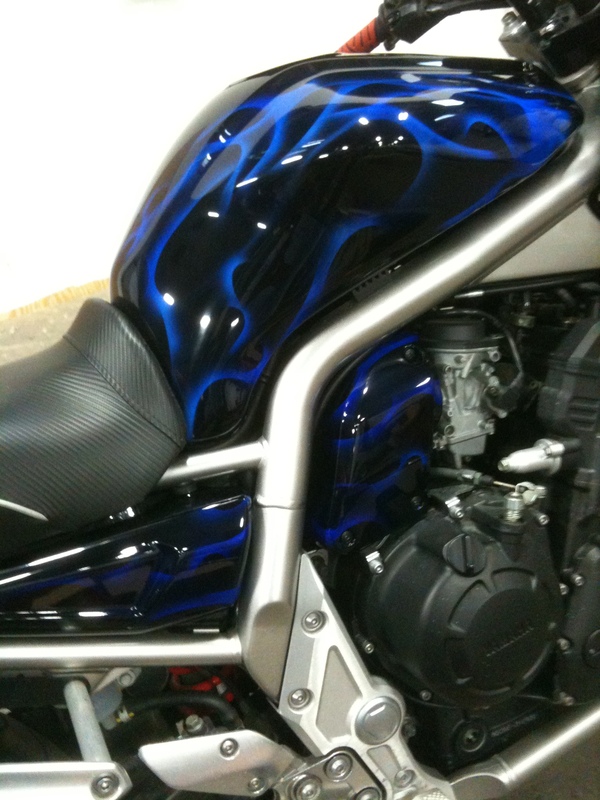 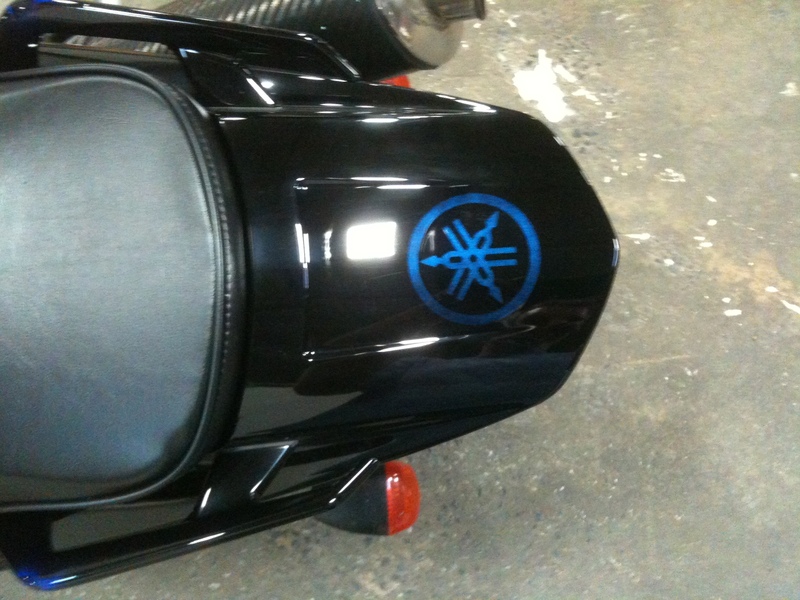 Airbrushed blue flames on a motorcycle.